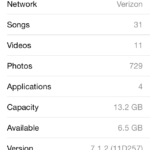 2 What is so important about the Apple SIM? 3 What does it mean to the operators? 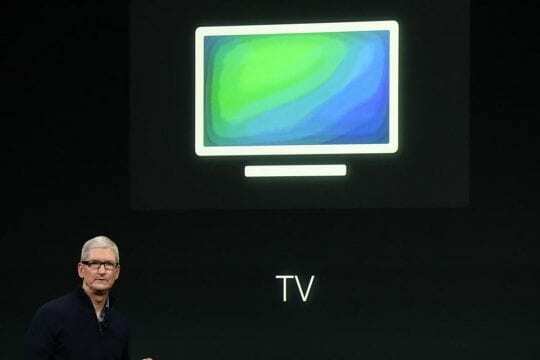 If you saw the Apple keynote a few weeks ago where new iPads and Macs were unveiled, you probably didn’t notice the Apple SIM which was quietly slipped in under the radar. Completely avoided at the event, the Apple SIM is a carrier neutral SIM which comes bundled with the new iPad Air 2 and iPad Mini 3, and lets users choose which network to use from a selected list. It’s great for users because instead of swapping out SIM cards, they can just select an operator from the device’s settings menu. Japanese mobile operator KDDI just stated that they do not know when they will support the Apple SIM, much like networks in the US and UK, where only a few will support it at launch. In the US, only Verizon is not included in the list of supported operators – but no doubt they will eventually realise that it’s better to be on the list than not. It remains to be seen whether the other operators in Japan (SoftBank and NTT DoCoMo) will support the Apple SIM now or in future. It’s likely that SoftBank and NTT DoCoMo will remain cautious for now. 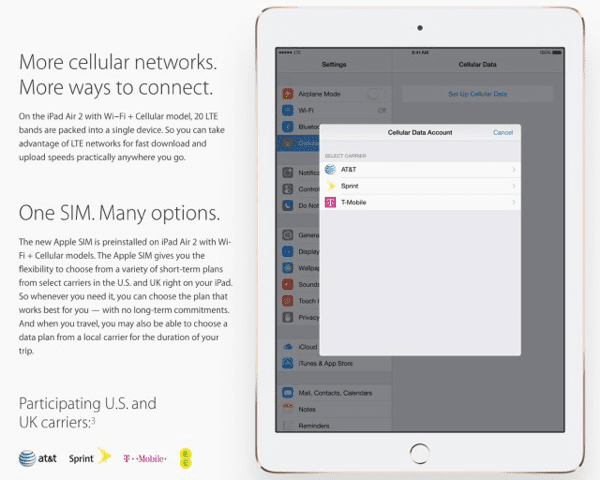 For now, the Apple SIM only comes bundled with new iPads. What is so important about the Apple SIM? New SIM cards come in various shapes and sizes, such as the Micro SIM and the smaller Nano SIM as used by the iPhone and iPad. Every SIM contains the customer’s phone number, and various other details that help to identify the customer and the device. 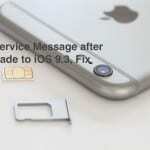 However, Apple would love to go completely SIM-free and instead use a soft SIM or virtual SIM. Why? 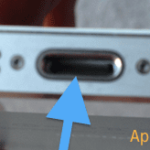 One reason is to make even thinner devices by doing away with the physical SIM card slot. 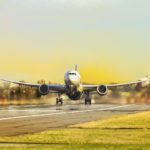 But perhaps a more compelling reason is that it allows consumers much greater flexibility and choice to switch between carriers at will. After all, when you want to get connected on a different network, at the moment you have to physically go and buy a SIM card and insert it into your phone. But if you want to switch operators, you need to obtain another card. All this is just too much for most people, who don’t actually bother to change networks very much due to the hassle of constantly ejecting SIMs. 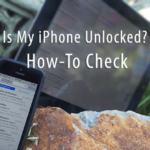 Wouldn’t it be far easier to have it all done in the iPhone’s settings and no SIM card at all? 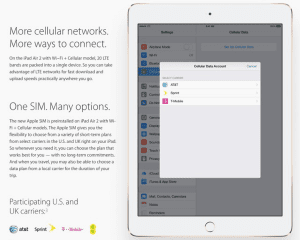 For now, the Apple SIM is only available with the iPad. But perhaps the time will come when every new iPhone comes with an Apple SIM? What does it mean to the operators? The Apple SIM may well disrupt the mobile industry. Operators are desperate to remain in control of their lucrative subscribers, but a SIM card that lets consumers switch in seconds means they could find themselves having to become much more competitive. All this is great news for consumers, but perhaps not so good for the networks. Talk of virtual SIMs and SIM-less devices has all happened before – several years ago Apple filed for patents relating to a virtual SIM. Unfortunately, the networks pushed back heavily and Apple seems to have abandoned its plans – for now at least. 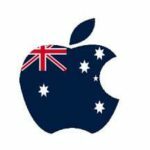 Apple has to tread carefully, because without the operator subsidies, the iPhone would become extremely expensive. 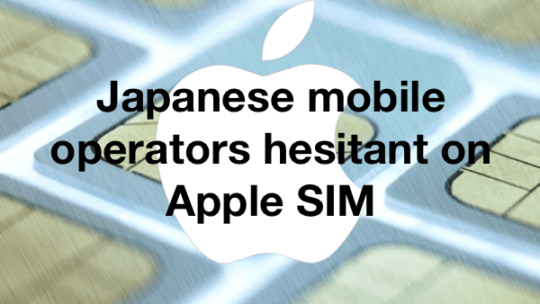 And just like KDDI, other operators around the world are waiting to see what happens with the Apple SIM. For now at least, it represents the next step in the very long road to a true SIM-less device. Let’s hope that day arrives sooner rather than later.